He could be this season’s Kordell Stewart, a player who can play both quarterback, and at a moment’s notice shift to being a wide receiver. 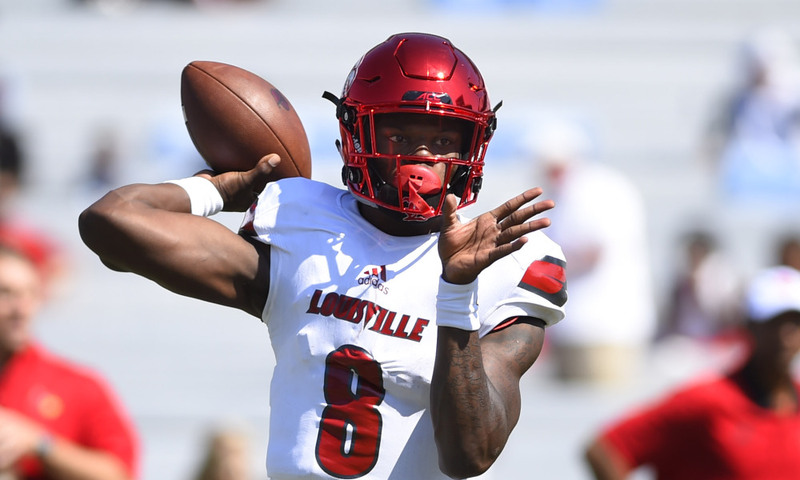 He’s Lamar Jackson, who just wrapped up a solid college career that saw him throw 9043 yards in three college seasons with 69 touchdowns, and he’s ready to make an impact on the team that drafts him come late April. Jackson is a possible game breaker of a player, but at what position and how long he’ll have to be developed are two big questions about him, and if a team is patient, they may get a player that could stretch the field either under center or lined out wide. Here’s our report on Jackson, a player to watch in this seasons draft. In speaking with a general manager from an AFC team, they said that Jackson is the most dynamic player in the 2018 NFL Draft. With amazing running ability, speed, and a powerful arm, Jackson is a rare talent who possesses a phenomenal skill set. While he made highlight-reel plays on a routine basis, some in the media have criticized him to the point that he may not be a high first-rounder and could slip to the middle or back portion of the first round. Some analysts have even suggested Jackson should move to another position. However in speaking with team sources, multiple top executives and scouts think that Jackson is being undervalued and definitely can stay as a quarterback in the NFL. Jackson broke into the starting lineup as a freshman and completed 56 percent of his passes for 3,543 yards with 30 touchdowns and nine interceptions. That season, he also ran for 960 yards and 11 touchdowns while averaging 5.9 yards per carry. In 2016, Jackson set college football on fire while winning the Heisman Trophy. The sophomore was a massive point-producer for the Cardinals. Jackson completed 56 percent of his passes for 3,543 yards with 30 touchdowns and nine interceptions on the year. He also ran for 21 touchdowns and 1,571 yards while averaging six yards per carry. Jackson’s 2017 was comparable to his Heisman winning season although he wasn’t even invited to New York as a finalist for the sham award, which effectively excludes linemen and defensive players. In 2017, Jackson completed 59 percent of his passes for 3,660 yards with 27 touchdowns and 10 interceptions. He averaged 6.9 yards per carry on the ground on his way to 1,601 yards and 18 rushing touchdowns. Sources from around the league acknowledged that Jackson was a one-man team. Louisville did not have a good running game and fielded a bad offensive line that allowed steady heat on Jackson. Poor receivers consistently dropped well-thrown passes, and that kept Jackson from completing 60 percent of his passes. While a poor supporting cast is used to help justify some of the underwhelming numbers for Wyoming quarterback Josh Allen, the same benefit of the doubt doesn’t seem to get extended to Jackson. Of the top quarterback prospects for the 2018 NFL Draft, Jackson has the most athletic ability and dual-threat danger to give defenses huge problems. He has elite arm strength with a powerful gun that can make devastating throws. Jackson’s arm is so strong that he can make throws off platform that other quarterback can only make after having set their feet. With just a flick of the wrist, the ball explodes out of Jackson’s hands, and he can beat good coverage with perfect throws that very few quarterbacks can make. Jackson also hangs tough in the pocket while staring down the barrel to deliver passes while under the pass rush. He showed good field vision to work through progressions with pocket presence and patience to let routes develop. Jackson can buy time with his feet, and so many of his highlights are dominated by runs, but Jackson has a devastating arm to hurt defenses downfield. He also has run a complicated college offense under Bobby Petrino, displaying full command for the system. What I liked: Jackson primarily aligns in the shotgun/pistol, but he does take some snaps from under center. He shows quick feet in his drop and has an explosive/snap delivery. He can generate plenty of velocity without incorporating much of his lower half. He flashes the ability to accurately drive the ball into tight windows. He has tremendous upside as a passer but his ability to make plays with his legs is what makes him special. He has Mike Vick-type explosiveness when he takes off on designed QB runs or scrambles. He gets up to top speed immediately and destroys pursuit angles from opposing safeties. He isn’t quite as shifty as Vick, but he is just as fast in a straight line. Where he needs to improve: Jackson has a ways to go to develop into a consistently accurate passer. He has a bad habit of locking out his front leg, screwing himself into the ground and falling off throws. This dramatically affects his ball placement and touch. He flashes the ability to work to Nos. 2-3 in his progression, but usually if No. 1 isn’t there, he looks to run. In his defense, the pass protection at Louisville was terrible at times (see Houston game). The other major concern about Jackson is his thin frame. He is very wiry and he’ll need to add some bulk to withstand a 16-game schedule at the next level. The same things were said about Deshaun Watson early in his college career. He packed on plenty of bulk before leaving Clemson and hopefully Jackson will do the same. Biggest takeaway: I don’t use the Mike Vick comparison lightly. Vick is the most explosive quarterback to ever play the position. Jackson has that type of dynamic speed. However, Vick was a more polished passer and Jackson has some mechanical improvements that need to be made before he’ll be capable of matching Vick’s professional success. If Jackson can clean some of these issues up, watch out! I can’t wait to see him play … Clemson on Sept. 16. Jackson put on an impressive display against the Tigers last fall, but Louisville came up a little short against the eventual national champions. This time, Jackson gets to play the Tigers at home. Last year, a highly rated Florida State squad came to Louisville and got thrashed. That was probably the moment that won Jackson the Heisman Trophy. If he leads his team to a win over Clemson this year, his campaign for a second consecutive Heisman would receive a huge jolt. First, I’d like to thank you for actually opening this article and beginning to read, rather than seeing the headline and angrily quote-tweeting “yur an moran” along with the link. The 2018 quarterback class got tons of hype this past offseason, with the likes of UCLA’s Josh Rosen, USC’s Sam Darnold, Wyoming’s Josh Allen and Oklahoma State’s Mason Rudolph all getting top-10 projections from many outlets and analysts. Oklahoma’s Baker Mayfield has even shot up the invisible in-season draft board on his way to winning this year’s Heisman Trophy. The four names I mentioned before have all shown flashes of brilliance this season, but have also provided far more head-scratching moments than many expected. From questionable decision-making and costly turnovers to injuries and inconsistency across the board, the flaws of this year’s top passers have been more evident than their strengths in 2017. But while Rosen and Darnold continue to dominate the talk of who should go No. 1 overall, Louisville’s Lamar Jackson has been quietly putting together another fantastic season, showing the kind of marked improvement as a passer that should have him firmly planted in that conversation. Instead, we’ve been forced to endure the tired but unsurprising barrage of “he’ll have to move to wide receiver at the next level” takes. Nobody’s talking about the athletic, talented but raw Allen needing to switch positions at the next level, but Jackson? Oh, definitely. Before we go any further, let me make this clear: Lamar has flaws. Ugly ones, at times. He’s inconsistent, can be wildly inaccurate, and makes some head-scratching throws. Hell, he’s thrown two odious interceptions against Mississippi State in the TaxSlayer Bowl since I started writing this. You feel more comfortable drafting the Blaine Gabberts, Christian Ponders, EJ Manuels, Brady Quinns, J.P. Losmans, Kyle Bollers, Joey Harringtons, Patrick Ramseys, JaMarcus Russells, Tim Couches, Akili Smiths, Ryan Leafs, Jason Campbells, Cade McNowns and Jim Druckenmillers? I’d rather ride or die with a player who could break the mold and become something the league has never seen before. Again, he’s not perfect. He still needs refinement, and he’ll have bumps along the way. There’s plenty of “boom-or-bust” to his game, but he’s absolutely no more of a risky pick than any other quarterback in this class. I’m not saying he will be a first-round pick. I’m not saying he’ll be an immediate NFL star, the next Deshaun Watson or a 10-time Pro Bowler who revolutionizes the position. I’m just saying he’s capable of everything we’re projecting for Rosen, Darnold and the rest of the bunch, if not just a little bit more. Lamar Jackson is one of the most electrifying play makers in this years draft. Not only is he a solid passer, but he has no problem beating you with his legs. 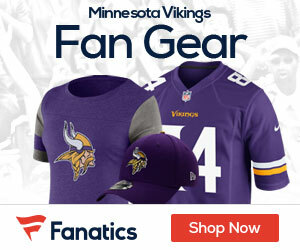 In his previous two years where he had more control of the offense, he passed for 7,203 yards with 57 touchdowns along with 19 interceptions, while running for 3,172 yards and 39 touchdowns. His running ability is likely more responsible for his hype rather than his passing ability. However, if he wants to adapt to the NFL, Jackson will have to earn to survive without his legs as often. In his sophomore year of college, Jackson had 260 rushing attempts, his junior year he had 232 attempts. In the NFL, he will never see that many attempts, and never should. He has a special talent with running the ball, he has the speed and the elusiveness. This skill should definitely still get put to use, it just needs to be turned down multiple notches. As said earlier, his running ability has probably accounted for more of his hype than his actual passing has. However this isn’t a fair claim. Lamar has nice velocity on his delivery that can get the ball into a tight window. He has very good accuracy on his short to mid-depth passes, but struggles with his deep ball at times. His on target down the field passes will be some of the most well placed throws you’ll see. His off the target passes downfield are usually barely off but still inconsistent nonetheless. As far as his skills in the pocket, you’ve of course got the good and you got the bad. On one hand, he has a very good sense for when the pass rush is getting to close, and he’ll either get the ball off right then and there, or he will take off. On the other hand he could use some improvement on his footwork. When dropping back, his feet seem to move slightly slower than you would like, which is the cause for his inaccurate passes. On top of footwork, I noticed whenever he would decide to bolt out of the pocket and run, he would stumble out of his break. As a runner his feet are fine, but while working in the pocket it needs improvement. Jackson is by no means a finished project and will probably take a season or two to achieve what he is capable of. But it is promising seeing how dynamic of a player he is even with his flaws. If he were thrown into a starter role, I see his rookie year being one of those seasons where certain games he will light up the scoreboard, but then a week later he struggles heavily. Current Draft Value: Mid to late 2nd rounder.